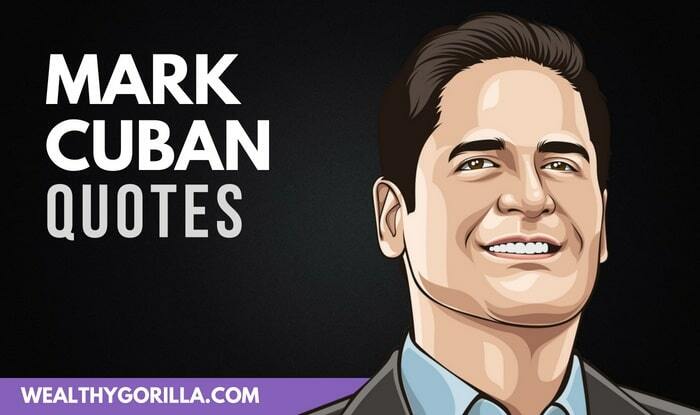 This is a powerful collection of 41 Mark Cuban quotes about succeeding in business and in life. 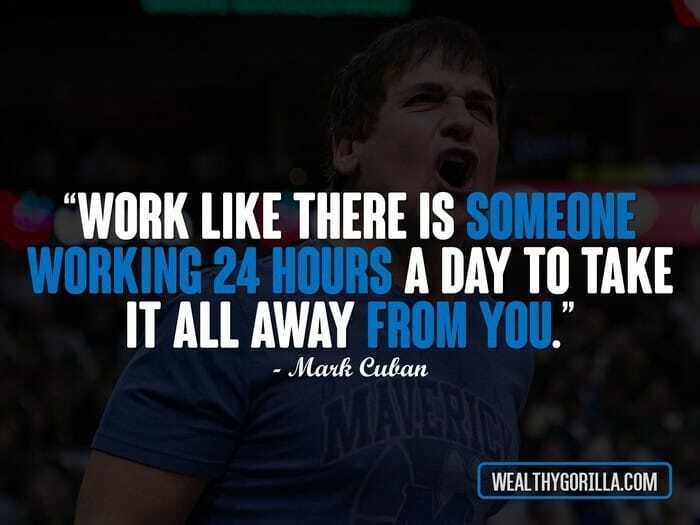 This list of quotes is awesome for any entrepreneurs reading. 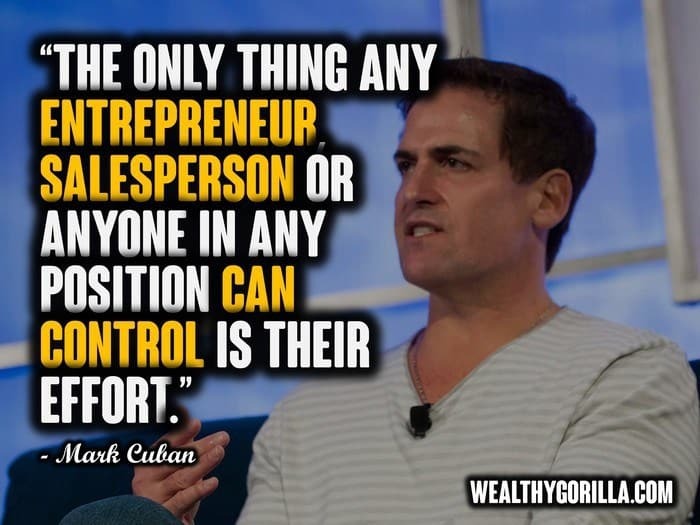 Mark Cuban, the Shark Tank billionaire, has a lot of powerful advice for other business owners, and a lot of it is stored within these short Mark Cuban quotes. Check them out, and enjoy! 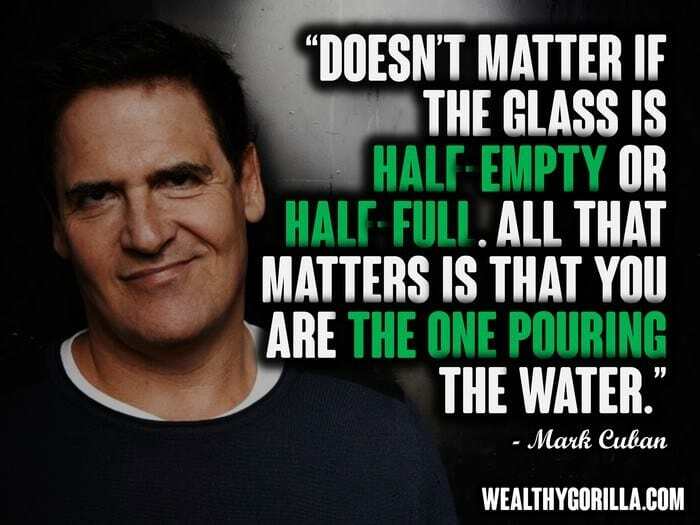 Thanks for checking out this awesome list of Mark Cuban quotes! Don’t forget to check out all our other awesome quote articles. 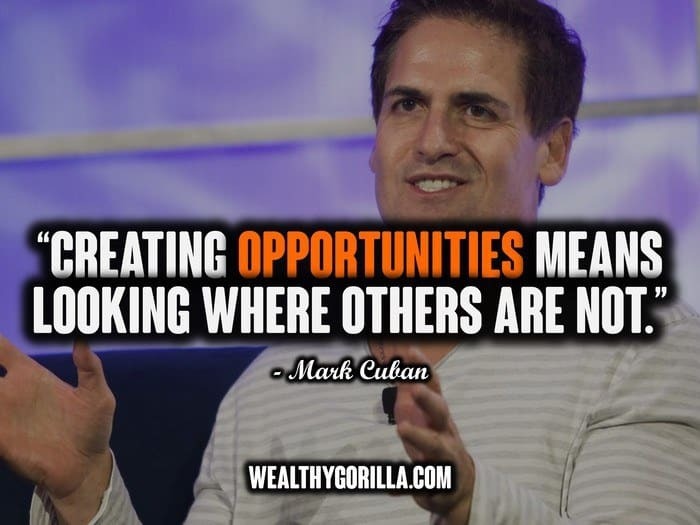 We have so many great quote collections on Wealthy Gorilla from entrepreneurs like Bill Gates, Richard Branson, Warren Buffett and so on. 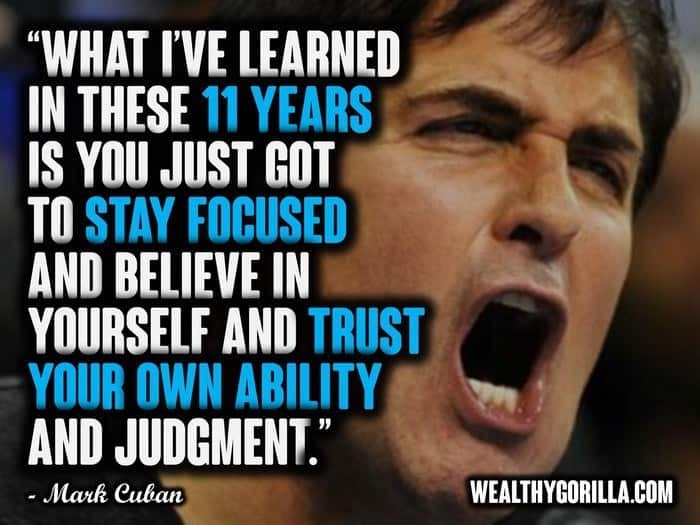 What’s your favorite Mark Cuban quote? Leave a comment below.